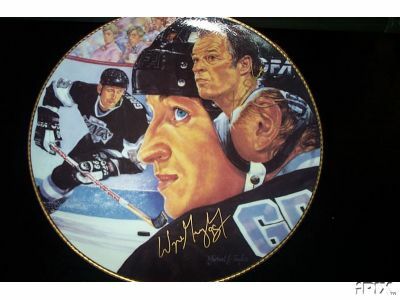 Beautiful Wayne Gretzky & Gordie Howe ceramic plate made by Gartlan, an autographed hand numbered limited edition of 1851. 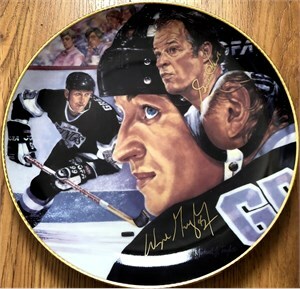 Both Gretzky and Howe autographed the plate in gold paint, and the back of the plate verifies the authenticity. ONLY ONE AVAILABLE FOR SALE.